Yoga is an incredibly popular way to achieve and maintain physical and mental fitness. It strengthens and tones the body and calms and restores the mind, and people find a daily yoga practice to be a key daily activity in their busy lives. However, daily yoga practice can also be slightly inconvenient, due to the need to transport your yoga mat and other equipment to get the most out of your workout without slowing you down. Today, there are a number of specialized products specifically designed to make your yoga practice simpler and easier in everyday life, with features to make them more convenient, useful, and portable. So, in todays blog post we are going to review the best yoga mat bags to get you to the studio and in the child poses with all of your favorite yoga gear, simply and conveniently. How Big Must it Be? How Will You Get Your Mat In/Out? What Features Will You Find Relevant? Are Aesthetics Important to You? First, it’s important for you to realize what you want from your yoga mat bag. You may not think of hygiene aspects until you have to endure the odor of a low-end unit that can’t handle the moisture and sweat. Different styles of yoga mat bags work best for different people, so there are a few things to consider. What style of yoga mat do you have? Will it be able to easily fit into an out of a bag? Will it be stored in the bag for extended periods of time? 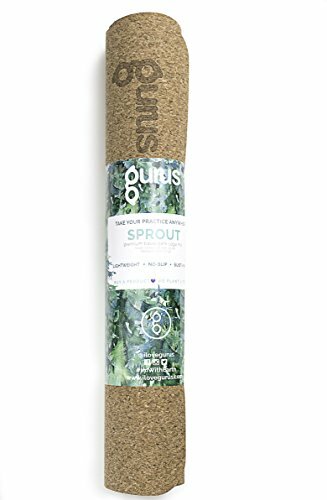 If you plan on storing your yoga mat in a bag, be sure that the material can withstand prolonged curling, and that it’s not being stored with excess moisture. A backpack-style yoga mat bag is a great choice if you need to keep your hands free. If you commute by bicycle, have other items to carry regularly, or just want to travel light, a backpack is a great option. 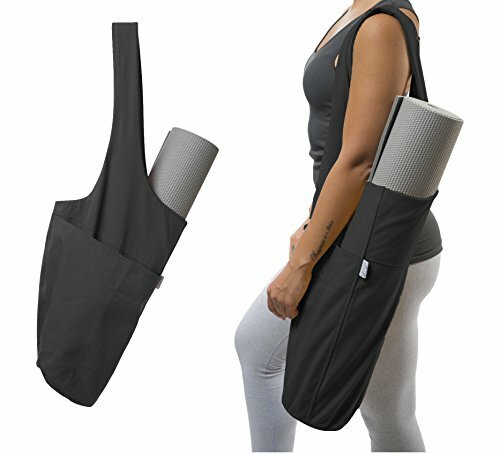 Many yoga mat bags are in the form of a tote you carry with your hands. This can be a better choice if you are commuting by car or public transport, as you don’t have to keep putting on and removing a backpack. And if you are transporting valuables along with your yoga mat, it may be more secure to keep them where you have your eyes on them. Of course, size must be high on your list. You don’t want to struggle to get your mat in every time it’s time to go. You’ll end up just flinging the mat into your car’s back seat or trunk again. This means you need to purchase your mat before you start shopping for a bag. While the average size for a mat (width) is 28” you’ll find brands that deviate from this. This width must match up with the length of the yoga bag. And be careful not to buy a bag that’s too long. You’ll have extra space and you’ll be tempted to throw a small item in there which can tear and damage your mat so rather make sure it fits snug. The thickness of your mat also plays a role. If the circumference is more than that of the standard mat you’ll battle to get it inside even if the length is appropriate. Can you imagine yourself pulling it out with effort or trying to squeeze it through a small slit? You do not want that to spoil your relaxing exercise routine. The ideal option is to have an opening the entire length of the bag or on end must be able to open completely. This will make for easier usage. Your lifestyle and exercise routine is different than everyone else’s. Your yoga mat bag can help you manage this better with some features, but make sure you don’t pay for something you’ll never use. Straps make for easy carrying but if you know they will be in the way they shouldn’t be a necessity. If you do choose this feature, make sure the straps are adjustable so you can find a comfortable carry method. What do you carry with you to the gym? Or do you do yoga at home? If you simply want a protective cover for home use there’s no reason to invest in fancy models that have a lot of additional storage space. Going to the gym probably requires a pocket or two for keys, water and more. But if you have an additional gym bag you love using, once again a pocket is unnecessary. If you do want pockets you actually need to measure the size you need. Some bags have pockets for smartphones, but how big is yours? Will it fit? And if you’re lucky you’ll find one that allows you to run your earphones through while your phone stays protected. Remember you’re looking for a frustration-free solution that enhances—not encumbers—your next session. Make a list of what you need and only then start shopping. Here is where hygiene comes in. You don’t want your bag starting to smell from getting wet in the locker room or from the sweat transferred to it when you’re done with your session. For this reason, a fabric such as canvas is ideal as it won’t absorb too much moisture and become moldy. It’s an added bonus if you can wash your bag to keep it smelling fresh. Do you like making a fashion statement when going to the gym? Then why not let your yoga mat bag help you do that? Manufacturers use many fun and modern fabrics so you can match your bag with the rest of your attire. And think about it: If your bag sparks a good feeling in you when you see it you’ll be even more amped for your next session. Of course, you don’t want to replace your bag in the near future so make sure the bag you purchase is made from a quality fabric with excellent stitching. A good way to gauge the quality is to look at the warranty associated with the bag. Some brands offer lifetime guarantees and since you want to stay fit for life, that’s the best option to consider, right? Quality is especially relevant if you need to carry yoga blocks with you like the ones mentioned in our article here. You don’t want your hands full and you also don’t want your bag tearing from the additional weight. Make sure you purchase the right thing the first time. Below you’ll find five of the market-leading yoga mats we could find. Will one of these become your companion in the yoga studio? The Baen Sendi design is available in five different bright colors, inspiring you to make the most of your yoga sessions. 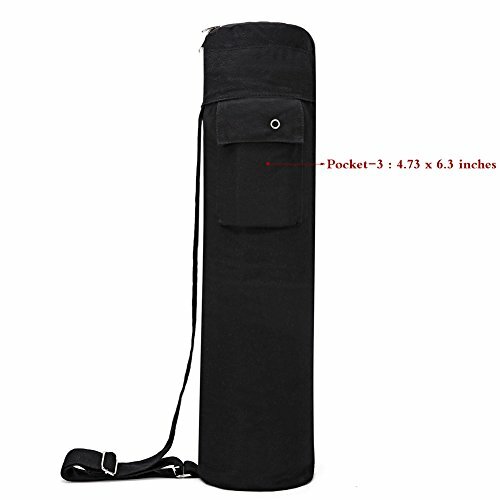 Made of high-quality, soft, durable canvas, it’s a sturdy yoga mat bag that will last for years to come. In fact, with the lifetime guarantee, you are assured complete satisfaction. This bag will hold yoga mats up to 61 cm wide and 10 mm thick, with a rolled up diameter of 6 inches. The full zipper design allows yoga mats to be easily stored and removed, and the adjustable strap makes it easy to wear this bag over the shoulder, across the body, or carried like a tote. The Baen Sendi yoga mat bag also has three convenient pockets–two expandable and one zippered pocket to securely carry your small necessary items without adding extra bulk to the bag. The pockets are big enough to carry a phone, wallet, even a water bottle. If you’re training with others, you may be concerned about the security of your personal belongings. The newk yoga bag gives you a little more peace of mind because these pockets aren’t only on the exterior, but there’s a zippered compartment on the inside too. Store your most treasured belongings where no one can easily get to it. These colorful yoga mat bags are made of durable, waterproof, colorfast polyester and lined with cotton to protect your belongings. Generously sized to fit all yoga mats, these bags have a full zipper to make it easy to get your yoga mat in and out of the bag, and a comfortable, 1.5 inch wide adjustable shoulder strap for a variety of carrying options. 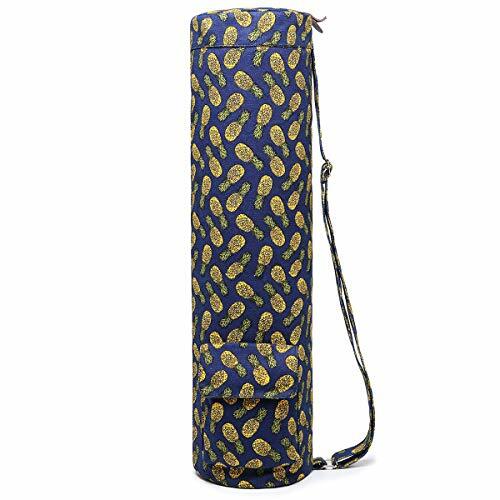 As mentioned, the newk yoga yoga mat bag comes with a water bottle holder, an expandable front pocket, a smaller side pocket, and an inside zipper pocket for additional security. With 30-day money back guarantee, and a 1-year free replacement guarantee, this bag is an excellent choice for rainy climates when you need a waterproof yoga mat bag. What about putting some character into your training gear? That’s possible with this range of bags as they’re made of fabric with very interesting prints. You can choose a color you like or a design that suits your personality; choose one from the 20 available. The Elenture Yoga Mat bag has a full-zip enclosure designed for yoga mats up to 26 inches wide and 6 inches in diameter when rolled up. The shoulder strap is adjustable up to 48 inches in length, for a variety of carrying options for people of any height. This bag is made of 100% organic high-quality canvas and fabric. It has a generous expandable front pocket to carry a variety of personal items. The side pocket zips closed securely, but has an earphone slip perfect for taking your music with you on the go. This yoga mat bag has a 100% satisfaction guarantee and a 2-year warranty. Here’s another brand that gives you a whole range of designs to pick from – 21 in total. These 100% canvas bags are strong and durable, and come in an array of bright colors and cheerful patterns sure to please anyone who loves yoga. These eye-catching bags can hold any yoga mat up to 64 centimeters wide and up to 10 milometers thick. They have a full zipper design and adjustable shoulder strap, to make them easy to use. 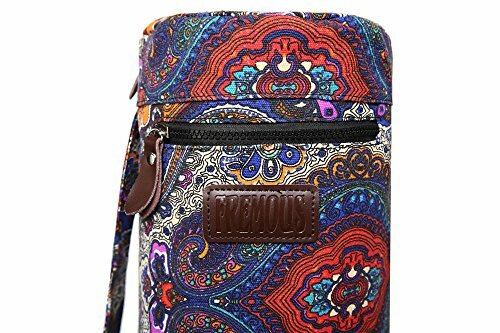 Two multifunctional pockets include an expandable side pocket for larger items, and a zippered pocket for more securely transporting valuables. Boence offers a 2-year warranty and a 100% satisfaction guarantee, and is committed to resolving all issues within 24 hours. 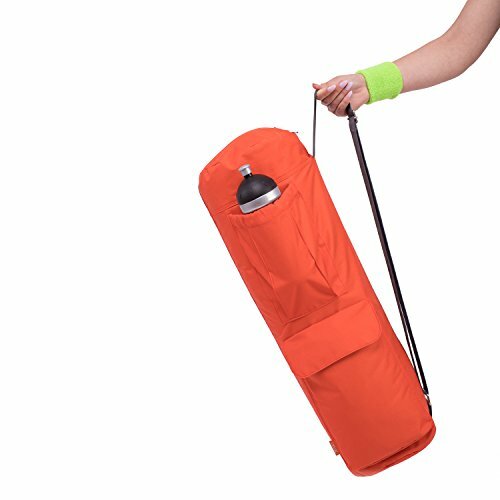 This mat bag gives you quite large capacity in its features. It’s possible that some colors and patterns will fade when machine washed. This brand is focused on keeping customers satisfied. They listened to feedback and now you can get this bag with an upgraded zipper. It will last longer and is more practical. The Fremous yoga mat bags are made from 100% durable canvas, and come in a variety of exciting colors and patterns for every taste. They will only fit yoga mats 61 centimeters wide and 6 millimeters thick, so make sure that your yoga mat will fit before investing in these yoga mat bags. The full zipper and adjustable strap make these yoga mat bags easy to use and carry, with an expandable front cargo pocket and a zippered back pocket. It’s backed by a no-hassle 100% satisfaction guarantee. What are your priorities when it comes to your yoga session? 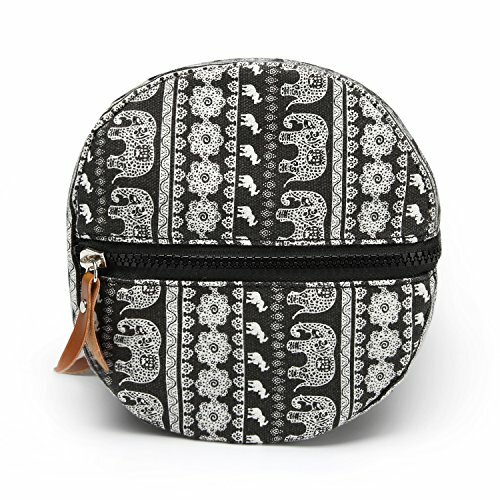 Do you need a water bottle pouch or simply an easy carrying option? We fell in love with the Boence bag. It’s not only the fact that there are so many designs to choose from; the most important is to easily fit mats inside and this one caters for the slightly bigger sizes. It’s practical while it also looks great. A great combination and even the price is good. Ready to exercise now? To read more honest Yoga Gear and Yoga Apparel Reviews, check out our series of complete buyers guides and product reviews by visiting the Total Yoga Body Reviews category.